I’ve just returned from the legendary Harrogate Crime Festival – and I can honestly say that for me, this was the best year yet. I’d bought a weekend rover ticket which allows access to all the events but I was far too busy to go into the majority of them. 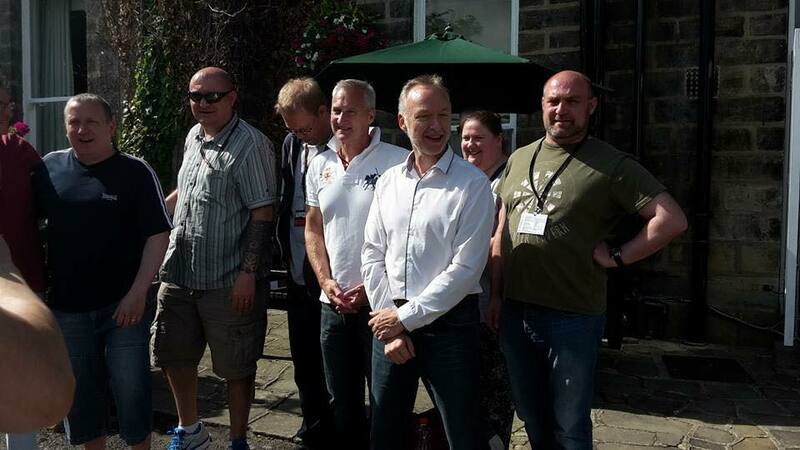 I met lots of the amazing authors from my publisher, Caffeine Nights (www.caffeine-nights.com), who are pictured above (Col Bury, Mike Craven, Nick Quantrill, Michael Fowler, Graham Smith, little old me hiding at the back and Darren Laws who is the publisher himself!) I feel very happy to be part of such an amazing team and can’t wait to work with everyone else and meet the people I haven’t yet met! As well as catching up with those named above, I spent lots of time with the lovely Eileen Wharton, pictured above with Col and Graham (left) and also pictured with David Mark (centre). Had a good natter with Sheila Quigley (right) who is so amazingly supportive – in fact everyone is so supportive but Sheila is wonderful. Writing gives the rare opportunity to become part of a community. A family of sorts. And it feels like a huge family party going back to Harrogate. 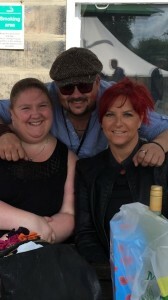 Me, Eileen and Sheila plan on meeting up very soon for a writing day. It’s so lovely to catch up with friends who I haven’t seen for a long time – Sue and Terry Wilkinson who are just two of the nicest people I could ever wish to meet, also nattered with Steve Mosby, Pete Sortwell, Caitlin Warrior, Leigh Russell (though we have agreed to arrange to meet next year because we were like ships in the night other than a brief hello) and lots of the lovely folk named above from Caffeine Nights. The weather’s been pretty good overall – relatively warm sunny days followed by slightly chillier nights. The odd shower but nothing too bad and we all know I adore the rain anyway. The hotel was fab as always, and it was great to be in the venue hotel this year. 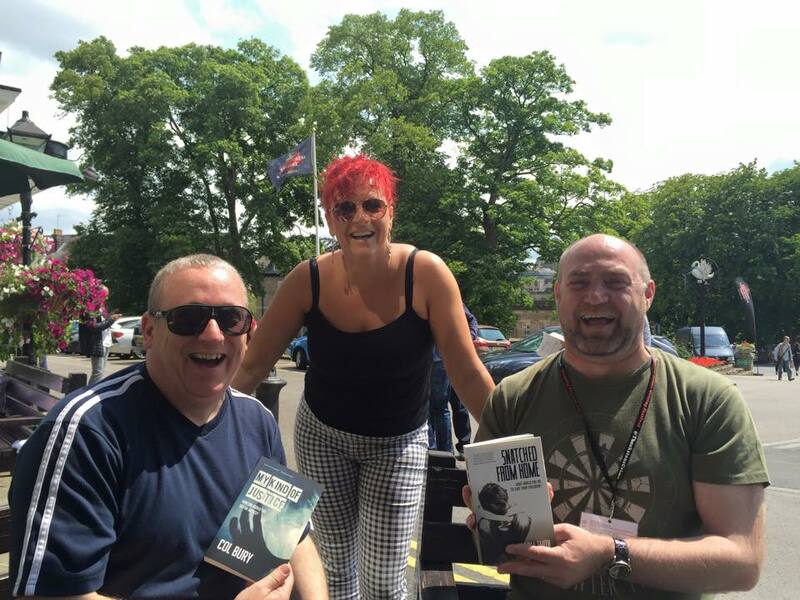 I met some wonderful people for the first time too – Scottish Rob who’s surname I didn’t catch, the quirky Kurt from Liechtenstien who smokes the biggest cigars I’ve ever seen! Michael Fowler who is published by Caffeine Nights, Anthony Schumacher, and even the fabtastic Tracy Fenton, Helen Boyce and Sumaira Wilson – Tracy runs the best book club on Facebook – it offers a place for writers and readers to interact and she does an awesome job! I look forward to seeing them all again next year. So many more I can’t mention or I’d be here all night! In between all this I even had time to hobnob with the stars don’t you know. 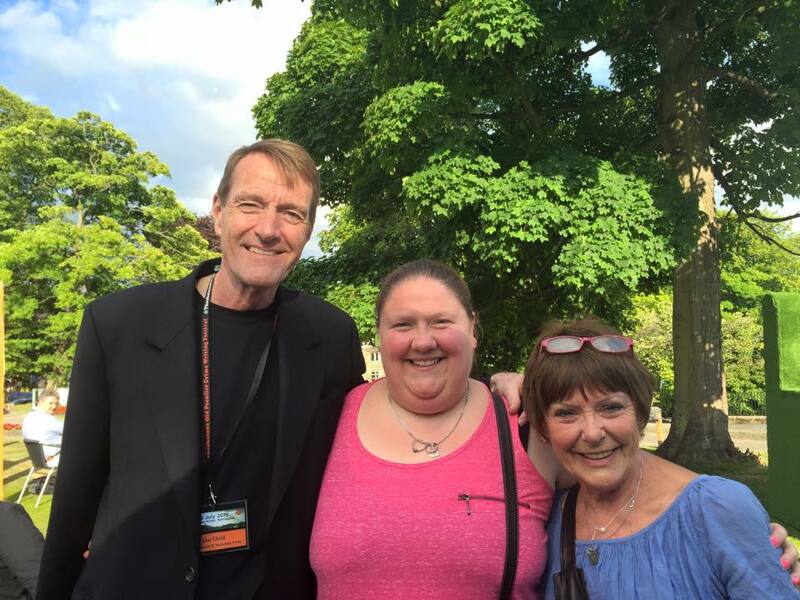 Lee Child is one of the tallest, most charming gent’s ever – a rare breed. Everyone I know enjoys his REACHER books. And not to name drop, but you know – it’s Lee Child! (photo above with Sue Wilkinson and Lee Child). And even found time for a chat with Paul Abbott who wrote things like Shameless and No Offence – such a nice man who’s had an amazing journey after a rough start in life. So encouraging to new writer’s too – he works very hard. And yes, there will be a second season of no offence for those wondering! It still amazes me how friendly Harrogate Crime Festival is – you can literally turn up and everyone will speak to you. There is no snobbiness, and no clickiness. 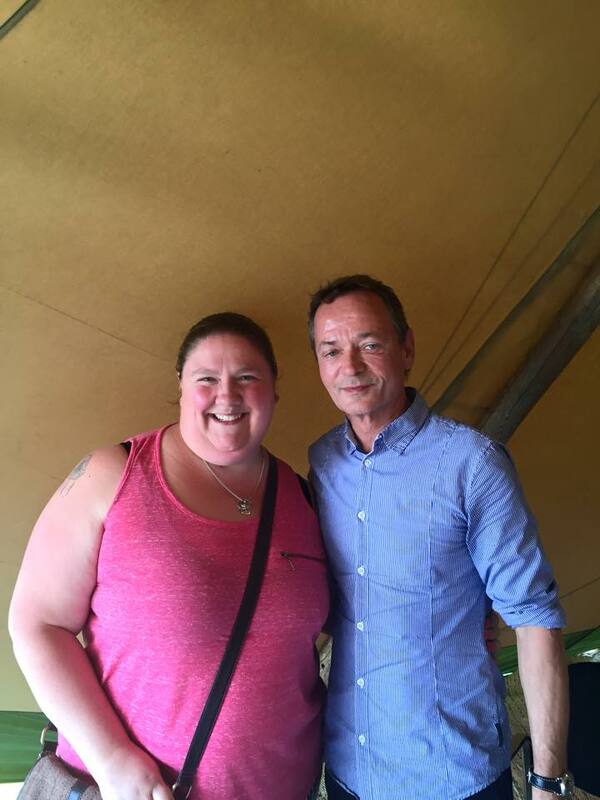 Even the fab Lee Child and Peter James were in the throngs of people willing to chat and sign books etc. Writing wise, I had a fantastic meeting with my publisher this morning. I’ve got lots of work to do – there’ll be a short story available later this year that is the lead in to the novel, and I’ve got my schedule for editing and cover design etc. So exciting! Can’t wait to reread book 1 to familiarise myself with it again and get the trusty red pen out. 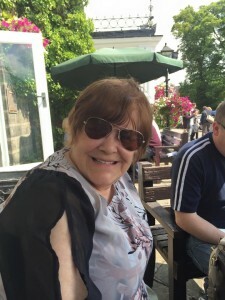 This entry was posted in Blog Posts and tagged author, blogger, crime writer, crime writing, Networking, social media, writer, writing on July 19, 2015 by Kerryrichardson77.